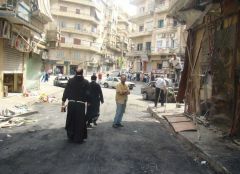 home / Multimedia / The Holy Land in news / Updates from Syria: “We’re going back home, but it is ..
“We heard that the Church assists, helps and encourages people; and so it’s ready to intervene in rebuilding a damaged house, it’s ready to help a father to find a job and to cover some of the expenses there might be. Or still it’s ready to donate at least a first-aid food package.” Speaking are some Christians of Aleppo, Syria. They have decided to return home during the last months, precisely six months after we had known that the city had finally been freed. “18 families have come back since the beginning of this year” father Ibrahim Alsabagh, the parson of the Franciscan church in Aleppo, tells us “and we know that some others are thinking about returning here”. This is really a great sign of hope for the local community which right now is exhausted for the many difficulties it has been through. 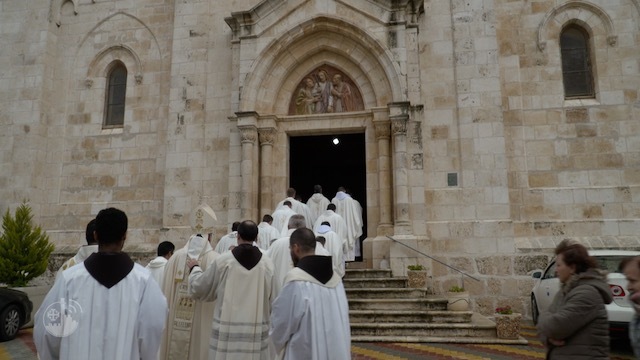 It is also an encouraging sign for the Franciscan Friars, who have always been present in Syria, alongside the people in these years of war. “It encourages us to keep on going and to raise even more the level of hospitality” Father Ibrahim continues. For this reason Association pro Terra Sancta remains alongside the Franciscans, and supports them in this endless Calvary. It is important to keep on supporting the people in Aleppo and in the whole Syria. Let us not abandon them!